It’s not always steaks and barbeque here at the AlbuKirky Kitchens. I do occasionally dabble in my other food passion, ICE CREAM! I’m actually not sure what I love making more, ice cream or barbeque? But I don’t have to choose, because I can always eat my ice cream after BBQ and enjoy the best of both worlds. Today I’ve got a recipe that is one of our favorites. It’s sweet, it’s tangy, it’s absolutely freaking delicious! It’s Buttermilk Vanilla Ice Cream. I add all the ingredients to the ice cream canister and mix with my boat motor blender right in the canister. Drop in the dasher, put lid on and put it all in the ice cream maker. I use the salt & ice type maker and it takes about an hour to freeze. 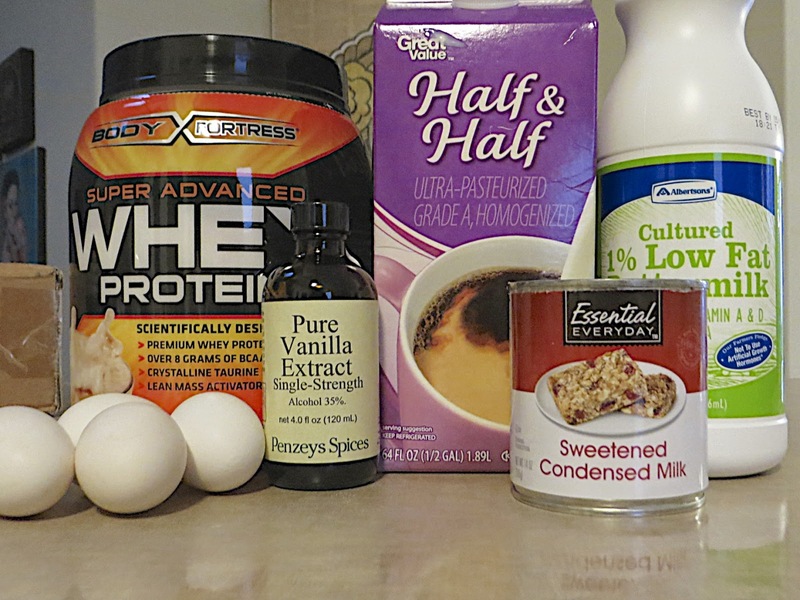 My base is always the same half & half, eggs, condensed milk and whey protein. I’m sure you asking, why the whey protein. It helps the ice cream hold more air and keeps it from getting all icy when you put it in the freezer to harden. One scoop or 1/3 cup is about all you need; too much whey will give it a funky after taste. The perfect vehicle for ice cream is of course cake. 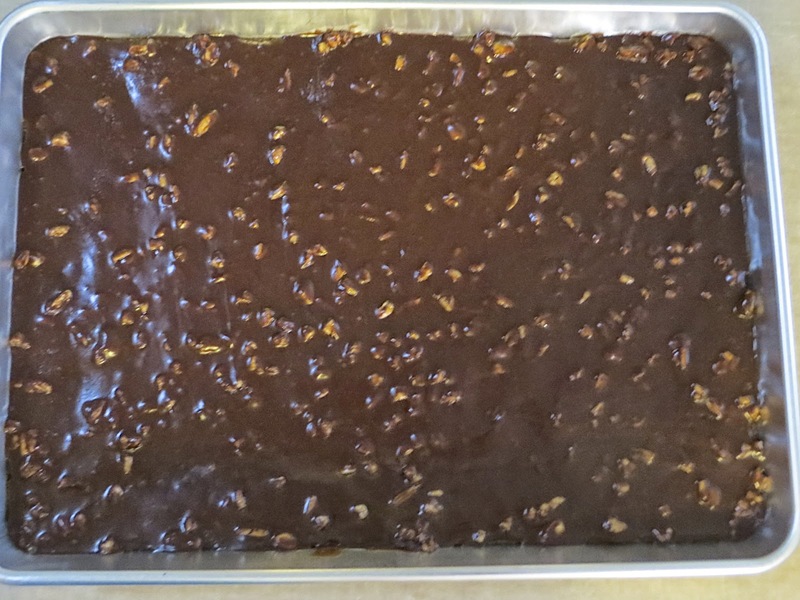 Cheryl made a this delicious Chocolate Texas Sheet Cake with a recipe from Pioneer Woman. My mom used to make this cake and it was always one of my favorites. 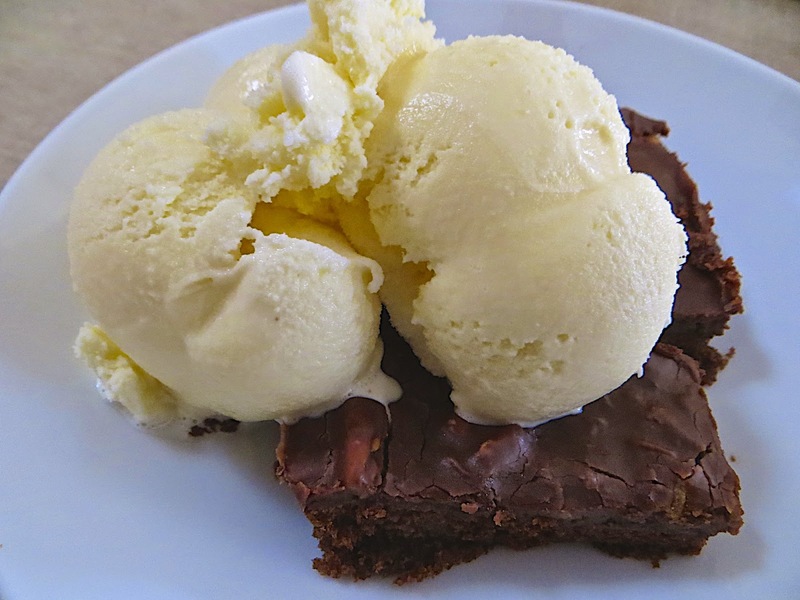 There is buttermilk in the cake so it pairs really well with the buttermilk ice cream. But then again what cake doesn’t pair well with ice cream?? It’s going to be a long hot summer and ‘ve got some more ice cream recipes coming.